We believe that the supervisors and managers who thrive in their roles have the right skills, knowledge, attitudes and behaviours. We can work with you to develop a leadership development programme that is designed to address the development needs of your leaders, help embed your culture, vision, values and behaviours, and support your people and wider business strategy. By working with you to understand your goals, we can create a tailored blend of workshops, online learning, and work-based projects or assignments that can be underpinned by qualifications from the ILM. Our goal is to exceed your expectations resulting in energised and motivated leaders who buy-into your organisation’s vision and values, motivate their teams and drive your organisation forward. TAKE TIME: A KEY LESSON FOR US ALL? For us, the people strategy is critical to the success of an organisation. We design our leadership development programmes to result in tangible and sustained change back in the work place. This is a powerful tool which can be used as part of workshops to help learners better understand themselves or it can be used as a focused workshop taking learners through key stages of self-awareness and action. Leadership Development: What do You Need to Consider? For supervisors, team leaders and managers who are new to a leadership role or have been working in a team leader role and want to build their skills and knowledge. For middle and senior managers who already have basic leadership skills and experience and want to further develop their ability to get the best out of their teams. For middle to senior managers who already have basic leadership skills and experience and want to further develop their ability to get the best out of their teams. For employees who are leading or managing teams within the organisation or those who want to refresh or update their skills and knowledge. For senior managers who would like to enhance their skills and knowledge while gaining an internationally recognised award. For employees at any level in an organisation who need an understanding of health and safety. In an emergency you need your team to know what to do, when to do it, how to do it and why. "The trainers encouraged participation. It is clear that they have a working knowledge of subjects covered in this course. The insight they have given has, both professionally and personally, made a difference to what I do and how I think." "Personally I learnt a good bit about my management style and the areas I need to improve on. So much so that I am now really conscious of trying to improve my listening skills and to not be distracted when someone is telling me something!" "I found the course very useful and find myself more aware of how I conduct myself and communicate with others." "Having taken part in other "mind numbing" courses, this was a breath of fresh air." "I am finding that the information given is becoming more and more relevant to my role. I have begun implementing many of the alternative methods and techniques which have been suggested to me and have found them to be both beneficial and effective in most cases." "It has helped me manage my time and assess my team in a more practical way." "The course was helpful in reminding and re-emphasising the various management tools available and methods for dealing with personnel in an effective manner." "Lots of interaction, able to pass on experiences and scenarios. Speed of course was good allowing for plenty of time on a topic if required. Trainer encouraged interaction." "Very happy with course, everything spot on. Was good variation and texture of materials and content. Trainer had extremely good training style and was very knowledgeable about all subjects." "Found this course very relevant to my role. Trainer presented the course very well and to a high standard throughout. She had a calm method and kept us engaged over the duration." "A key outcome was to better understand communcation within a team and as a leader, how this can be perceived by others. Also motivating and influencing colleagues to improve performance and satisfaction." "I always felt there was plenty of personal participation opportunities and it was an easy atmosphere to talk freely and ask any questions if you had any." "Trainer has been supportive throughout the training course, the content was delivered enthusiastically and was engaging. Questions were always answered. Thank you!" "As I am reasonably new to leadership within my company and am currently going through a restructure within my team, I found most of the training very useful. The information surrounding the PDR process was particularly helpful." "I have had a chance to think about my own leadership style, and how I interact with others in the team. I feel I am better prepared for dealing with a new member of staff and managing them more effectively." " Have learned a lot about the importance of communication and it has helped me to understand that its up to me to set the standard, read the audience, adapt and to always follow up to get the best results. The trainer was great, always patient and understanding of my workload, and supportive of extending the deadline for me." "The course has made me more aware of being a listener as well as being better at communication"
"The trainer allowed for group discussions which I feel helps the individual who is not confident to talk. This helps them get involved"
"Having a range of activities which involve participation was a great benefit rather than only having slides to watch the group discussions. It opened my eyes and made me think more of how I need to improve as a leader"
"The course was beneficial as not only did it give me a far clearer understanding of the requirements of being a leader but from a personal stand point it helped to highlight specific areas where my role differs, so that I have areas to improve on but also know my limitations"
"The training was very involved and enjoyable, knowledge was clear and well shared - I thought the training of the whole course was excellent and feel very confident with the information shared"
"Course made me more aware of my role in the developing stages and focuses on company development in future." "I felt the course was very interactive and gave all the opportunity to contribute. While some of the topics weren't relatable to my particular role, I still found the course useful and thought provoking. The course gives plenty opportunity for self review." "Delegates are better equipped in management and leadership skills. Importantly self-awareness among delegates has improved and self-development strengthened within them also. Approach to communication has changed in a positive manner in a number of delegates. They now better recognise the benefits of different styles of communication in different settings to help achieve the desired outcome." "I have been pleasantly surprised by how much myself and eventually my team will benefit from this very timely investment from the company. The staff survey results helped me pin point what is working well in the department and where we all need to do some further work. The challenges and team building exercises were really engaging and I have definitely taken away a lot of feedback and ideas to help me work on." "Very much enjoyed the course and I am certainly more conscious now of the way I do things. I think I am becoming more democratic, which is good news for everyone." "Taking this assignment has been a good reminder, for myself to go out and get amongst the personnel of the workforce, having more one to one conversations with all team members, and not just the department heads, enabling me to get a feeling of how the current atmosphere is amongst the team." "I now question with a more deliberate style and actively seek a more interactive environment to enable personal growth within the team. Trust is very important and gives a feeling of value to the individuals. Passing on information quickly and accurately is important as things change quickly in the type of work we do." "The assignment has made me focus on the change that occurred and think more carefully about the reasons behind the reactions observed during the change. I am not averse to change myself but I now understand more why others can be so negative about changes which initially seem benign or even worthwhile"
The following 11 case studies represent a relatively small number of the all the Leadership and Management Development programmes that we have undertaken since 1996. There are many to choose from across the sectors we have successfully delivered solutions for. We have many more success stories across the energy supply chain, marine industry, manufacturing, food and drink and other sectors so please get in touch. 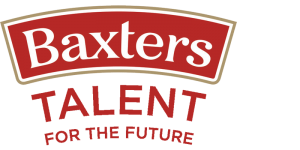 Working with Polaris Learning, Baxters launched a ‘Talent for the Future’ programme to ensure retention of their key operators while creating a flow of talent for succession planning. The focus of the programme was to ensure an effective blend of learning to include both people and technical skills required for managers in the food industry. Candidates worked towards full accreditation for an ILM Award as well as a Scottish Vocational qualification in Food and Drink Operations at Level 3. The programme was delivered through a variety of workshops, in-house assessment and assignments (supported by a full mentoring programme involving senior managers). Since being launched in 2014, this programme has since won an award for “Tremendous Training and Development” and Baxters are looking for us to roll out a programme globally in the near future. Bibby Offshore wanted a tailored management development programme that would prepare future managers for their role. This was a six month programme bringing onshore employees from across the business together. Through a series of workshops and work place assignments, the employees achieved the ILM Level 3 Award in Leadership & Management. 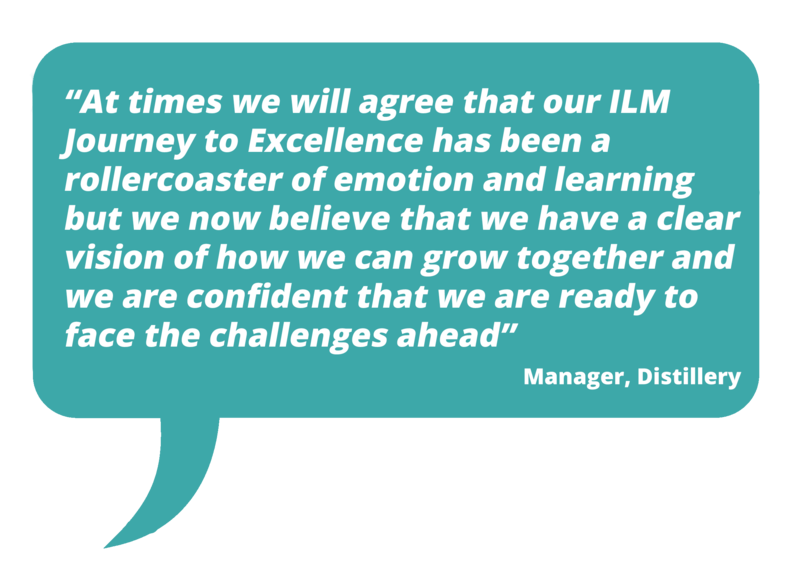 The goal was to provide a leadership development programme leading to the ILM Leadership & Management Essentials qualification using face-to-face workshops, online learning and remote support. This programme was delivered at a time when the organisation was going through changes and the main focus of this was developing supervisors and first line managers to deal with changes and ongoing operations and support their teams during a transitional phase. To ensure changes were implemented, a model commencing with initial evaluation using a competency-based framework utilised within a SWOT process included pre and post course evaluation. To ensure the workshops were as practical as possible, participants were provided with pre-course reading and extracts from a progressive case study. They attended a series of workshops before completing additional online learning. Some learners went onto complete qualifications from the ILM or the Leadership & Management Essentials endorsed by the ILM. Following an initial working arrangement that lasted 7 years, Polaris Learning were required to participate in a competitive bidding process. The bidding process challenged providers to produce a more innovative approach to delivering training to its internationally based offshore supervisors and managers. The client put a strong focus on improving the impact of leadership training in the workplace while maximising the investment which was reflected in their bid information. At the same time, there was a need to link the training to the organisation’s vision, values and behavioiurs. Since the award of the revised contract, Polaris Learning has worked with the client to create a blended learning approach to the leadership programme with elements of the training being moved to online modules followed by practical work assignments which each individual has to achieve. Further workshops are held to provide a practical based set of activities around core leadership competencies. We used this tool as part of the development programme to help delegates increase their own self-awareness and their understanding of how their behaviour impacts on others. We used a number of workplace assignments to help the delegates transfer the learning back to the workplace, giving them the opportunity to reflect on what they had learnt and to practise some of this at work. This was the preparation and delivery of a targeted programme for the organisation’s senior management team linked to the results of a staff survey organised and implemented by Polaris Learning. The facilitated element of the programme was delivered as a residential event focusing on the staff survey results, scenario-based learning and team building activities. Polaris Learning organised and collated the results of a structured Staff Survey prior to the programme. Participants were asked to obtain some 360° feedback and focused self-study. The staff survey results were reviewed collectively and by department with each area asked to identify and prioritise hotspots. A number of practical leadership challenges were set to evaluate participants around team work, negotiation and performance management. This was facilitated over a two-day residential with a team building activity (MDP music talent challenge) built into the evening. A specific list of development activities was collated following the residential and prioritised by the organisation’s managing director. The client was looking for a leadership development programme that would develop leaders and unify leaders under one shared, global vision and their company values. Their leadership and management programme is called Leading Change for a Better Now, Future and Legacy. Participants came from across the business. The course was carried out over several months with participants undertaking self-analysis and personal development to focus on their own effectiveness in their roles. Polaris Learning were contracted to design and deliver a leadership development programme for middle to senior managers leading to ILM Level 3 Certificate. This was delivered through workshops with PLUS as a support hub. The workshops were delivered at both UK and Norway sites, and all leadership development was linked to the corporate vision, values and behaviouirs. Selected pre-course work for selected topics (e.g. Coaching) discussions topics and ILM assignments were provided online via PLUS. The client wanted a programme that would develop middle to senior managers in a range of roles across the organisation including finance managers, HR, legal, health and safety and operations. We delivered an interactive programme that was supported by the ILM Level 3 Award based programme. We have delivered a series of workshops and a programme of learning to middle and senior managers including board level with a strategic focus. The goal was to address any gaps in leadership skills as well as to help shape the organisation’s vision, values and culture at a global level. This focuses on a programme of learning for middle and senior management to fill gaps in knowledge, align all leaders behind one vision and to help develop a culture more aligned to this vision. The Strength Deployment Inventory is at the heart of the programme allowing us to increase each leader’s self awareness and understanding of the people that they work with. This focuses on a programme of learning for senior management to help facilitate closer co-operation as well as to increase interpersonal and communication skills. The Strength Deployment Inventory is also at the heart of this programme allowing us increase each leader’s self awareness and understanding of the people that they work with.